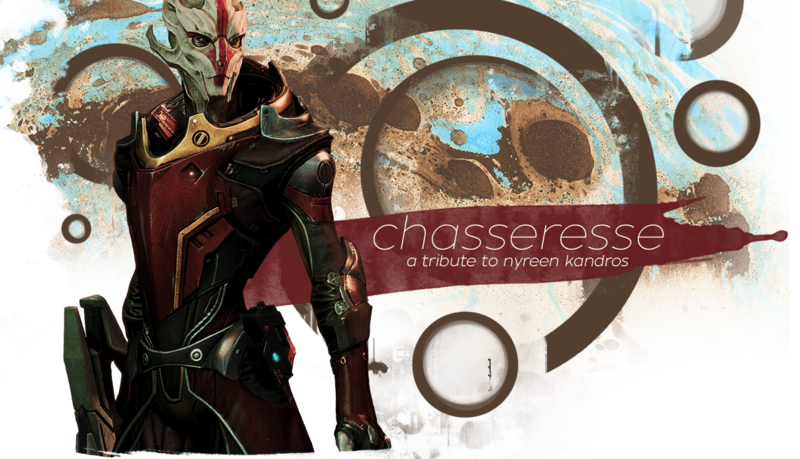 Chasseresse was originally created back in 2014 for a One Page, One Month event at Amassment. When I had finished writing up my content, I realised that I had a little too much information to display on one page and felt that it would be better to divide the content into separate pages instead. Shortly after getting all of the content for Chasseresse written up, I was called to do some contract work and had little time to pay attention to finishing the site. The content for the site would remain dormant for about two years until August 2016. I finally had the time and inspiration to create a graphical design for the site. On August 31, 2016, I finally put everything together and put the site online. Turians are my favourite species in the Mass Effect universe and as a huge fan of the series, it bothered me that there were no female turian in the game at all. When it was announced that the first female turian would make her appearance in the Omega DLC for Mass Effect 3, I was ecstatic! Not only was I able to finally see what the females looked like, but Nyreen also turned out to be such an amazing character that I was immediately enchanted. While I love many characters in the series, Nyreen certainly holds a special place in my heart. Mass Effect 3 & Nyreen Kandros are copyright Bioware Entertainment. Chasseresse is owned by Laura and is part of Genrou.com.